The Minister for Water Resources, River Development and Ganga Rejuvenation said his ministry will move a proposal in the Union Cabinet, comprising 285 irrigation projects planned to be taken up next year, to provide irrigation to 1.88 crore hectares of land. 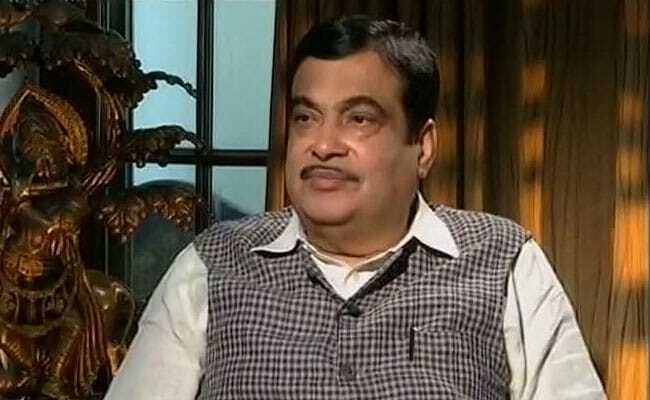 New Delhi: Union Minister Nitin Gadkari said today that the government was exploring possibilities to create a "large fund" for projects related to inter-linking of rivers as they require massive investments. Addressing the fifth India Water Week-2017 in New Delhi, Mr Gadkari said 30 projects related to inter-linking of rivers have been identified. They require huge investments, he said. "Two-three days ago, I was going to Gujarat with the Prime Minister, and we discussed (the funding for the projects)... He accepted (it). Why can't we create a large fund for implementation of these projects," Mr Gadkari said. He said 27 irrigation projects will be completed by the end of this year. Mr Gadkari said drip-irrigation and irrigation through pipeline will be a priority for the government as this will save water and cut down the cost involved in acquiring land. He said the use of pipeline- instead of constructing canals by acquiring land- has saved nearly Rs 5,000 crore. Mr Gadkari underlined that water, power, transport and communication were four important pillars of development. He said inter-linking of rivers was necessary to reduce the impact of floods and droughts, and added 30 river-linking projects have been approved, out of which work on three projects - Ken-Betwa, Par-Tapi Narmada and Daman Ganga Pinjal - will begin within three months. Stressing that new ways have to be found for the use of treated waste water, he said he has requested the Union Power Minister to check if recycled water can be used in NTPC power plants. Referring to the Pancheshwar Project- a bi-national hydropower project to be developed on Mahakali River bordering Nepal and India, Mr Gadkari said the secretary in the Ministry of Water Resources will soon visit Nepal to sort out issues. He hoped that the work on the project will start soon thereafter. He thanked former Water Resources Minister Uma Bharati, who was present at the event, for preparing detailed reports for several projects, including key river-linking projects. Ms Bharti, who is now the Minister for Drinking Water and Sanitation, said the projects related to Mr Gadkari's ministry were also linked to her ministry, like the inter-linking of rivers comprise a large component of drinking water. Ms Bharti said an impression was created that she has been separated from the Water Resources Ministry when she was moved to the Drinking Water and Sanitation Ministry, but Mr Gadkari "ensured" she "could not be separated" as he invited her to the event. President Ram Nath Kovind, Union ministers Arjun Ram Meghwal and Satyapal Singh were also present at the event.